Home Magazine Love Art? Come On In! 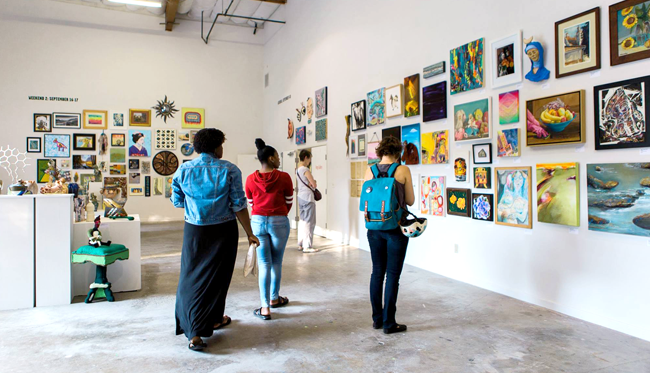 More than 225 visual artists across Sacramento will open their workspaces to visitors over two weekends in September during Sac Open Studios, one of the most anticipated and well-attended art events of the year. The tour, which is organized by Verge Center for the Arts, offers a rare glimpse into the private spaces where painters, sculptors, printmakers, ceramists and other artists create their work. We asked Young and two others close to the event for their tips on how to make the most of a visit to an artist’s studio.